Yatra.com, one of India’s leading Online Travel Agencies, reported a 40% rise in its revenue figures in FY 14-15. 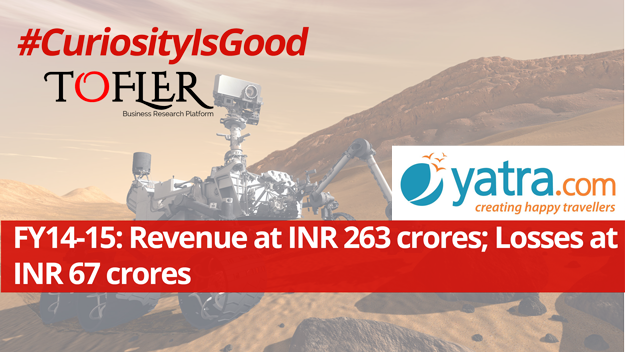 Its revenue stood at INR 263 crores. Yatra.com is owned and operated by Yatra Online Private Limited. Founded in 2006, it is an online consolidator of travel products including flights, hotel, trains, buses and cruises as well as holiday and trade fair packages. The company claims to have more than 50,176 hotels in India and over 500,000 hotels around the world. It also boasts of doing 20,000 domestic tickets and 7500 hotels and holiday packages a day. Yatra.com provides its services through website, mobile WAP site and mobile applications, 24×7 multi-lingual call centre, a countrywide network of Holiday Lounges and Yatra Travel Express stores. Yatra.com competes aggressively with MakeMyTrip, GoIbibo, Cleartrip, Expedia, Musafir.com in the OTA industry. 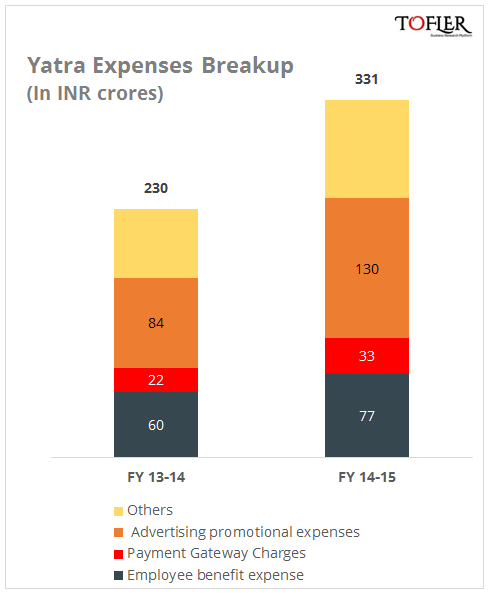 Yatra.com reported revenue of INR 263 crores against a loss of INR 67 crores in FY 14-15. 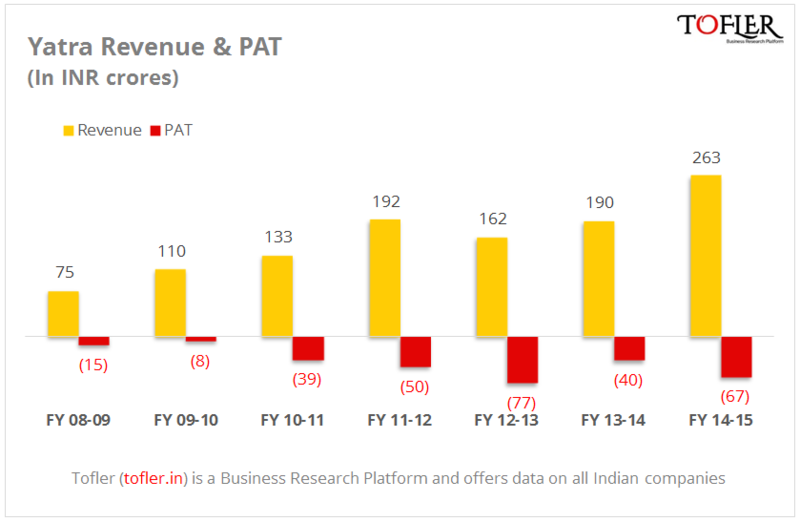 The revenue and loss figures for the previous fiscal were INR 190 crores and INR 40 crores, respectively. 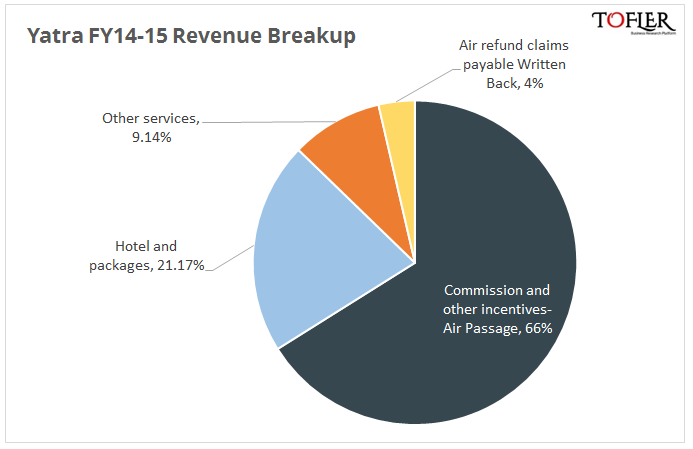 This is a 67% increase in the loss figure over the previous fiscal and the company is yet to break even. In comparison, its competitors Cleartrip and Ibibo had reported a revenue of INR 192 crores and INR 234 crores in the same period. The company has raised funding of INR 520 crores since October 2010. The list of investors includes Reliance, Asia Consolidated DMC, IL&FS among others. Out of this, INR 122 crores were raised in FY 15-16. 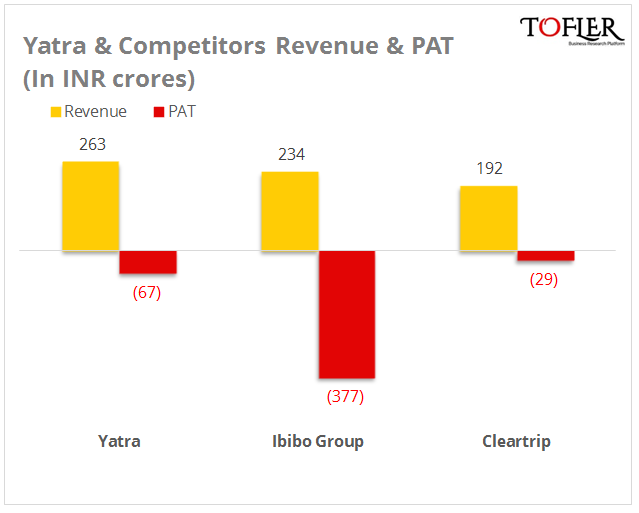 Here is how Yatra fares in comparison to the major players in OTA industry. The FY 14-15 figures for MakeMyTrip are currently unavailable but it was the market leader in FY 13-14 with a revenue of INR 1340 crores. Among its key acquisitions are ticket consolidator Travel Services International (TSI) in October 2010, global distribution system (GDS) provider MagicRooms.in, and Indian events and entertainment portal BuzzInTown.com in July 2012. Recently, it acqui-hired Travel-logs, in January this year, to boost tours within city. It also acquired 100% stake in Travelguru.com in 2012. Recently the company launched TG Rooms to take on the likes of OYO and Zo rooms in the budget rooms segment, and claims to have the largest inventory of hotels and accommodations in India with over 40,000 stay options across over 1100 cities.